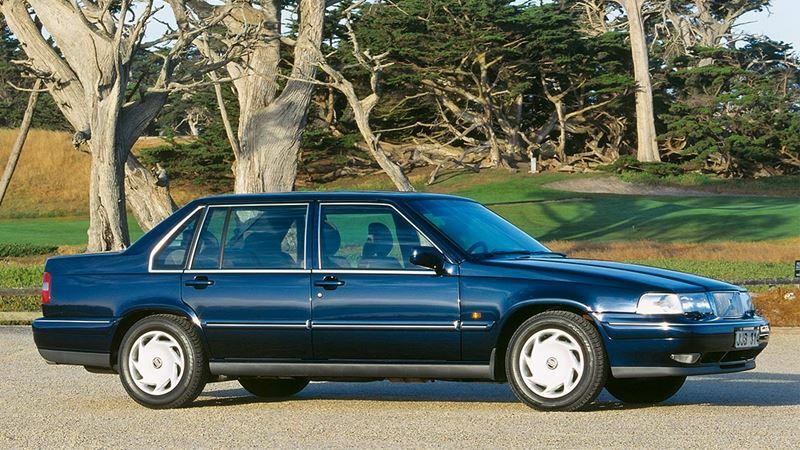 Autumn 1990 saw the launch of the Volvo 960, in time for the 1991 model year. The new 960 replaced the outgoing Volvo 760. The Volvo 960 was powered by an all-new in-line 6-cylinder engine, an advanced power unit featuring an aluminium cylinder block and double overhead camshafts allied to 4 valves per cylinder. This engine represented the first stage in an entirely new generation of in-line engines which eventually developed into a new series of 5-cylinder and 4-cylinder Volvo units. The Volvo 960 also unveiled a number of new safety features, among them a three-point inertia-reel seat belt and adjustable head restraint in the middle of the rear seat. Further enhancing the new car's safety profile, an integrated child seat built into the rear seat's middle armrest could be specified as an option. The 1995 model year saw the 960 undergo a comprehensive redesign. The front was facelifted, the chassis under the skin was almost totally new, and a new 2.5 litre 6-cylinder engine supplemented the previous 3-litre version. Overall length 487 cm/191.7" Wheelbase 277 cm/109"